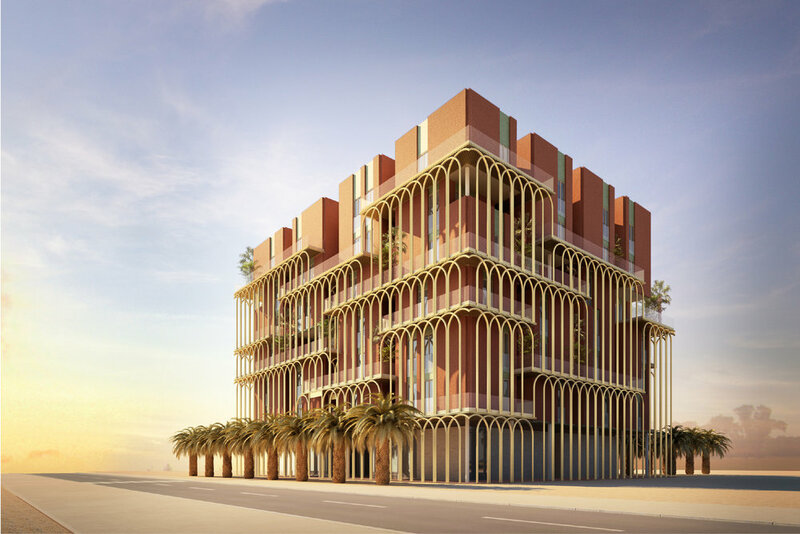 The project investigates the potential of the site interpreting the plot as an oasis between the hectic city of Dubai and the surrounding desert landscape. 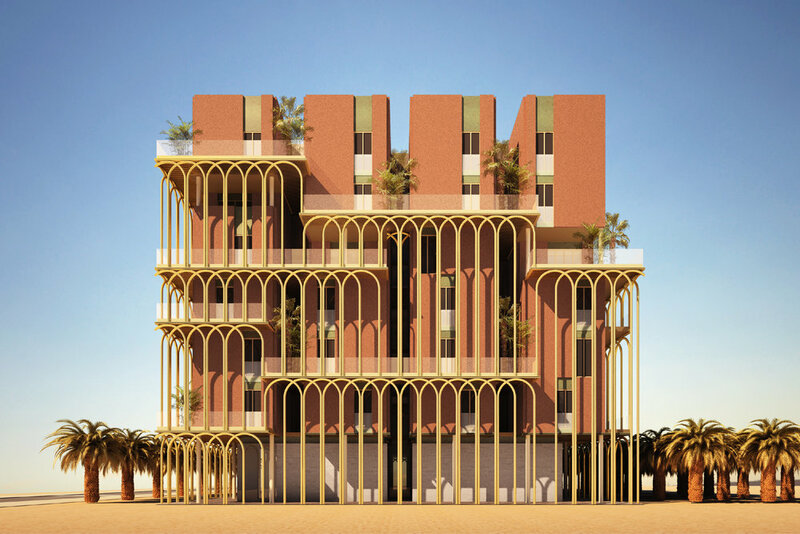 The aim is to envision a compact and efficient hotel which rather than filling a void is able to respond to the highest hospitality standards creating an artificial landscape that integrates the existing one. The building itself it’s not conceived as a standard monolithic block but as a group of towers placed next to each other where the spaces in between become scenographic and livable spaces able to protect from the intense sun exposure and the wind blowing from south-west to north-east. These in-between spaces give the opportunity to create small and private “green rooms” enriching the experience of the guests. The external image of the hotel aims to reinterpret the architecture of the past when east and west met and created a new and sophisticated language.